Specialized knowledge in a focused area of study. Describe the scope and principal features of your field of study and at least one other field. Understand and use contemporary terminology used in the field. Generate work products that are substantially error-free. Broad integrative knowledge in a range of academic disciplines. Describe how existing knowledge or practice is advanced, tested and revised. Describe different perspectives on key debates and understand their significance, both within your field of study and in society. Illustrate core concepts in your field by performing analytical, practical or creative tasks. Select and apply methods for solving problems in your field of study. Assemble, evaluate and analyze evidence related to problems in your field of study. Describe how at least two different fields approach the challenges we face in our world today. Identify, categorize and compare ideas, concepts, theories and practical approaches to standard problems. Identify, evaluate and use information from many resources. Describe how your knowledge of different cultural perspectives can help you interpret problems and solutions in the modern world. Perform and explain accurate calculations and symbolic operations. Write error-free prose in various forms and for various audiences. Apply knowledge gained in the classroom to real-world settings. Describe in writing a substantial case in which classroom knowledge was applied in a non-academic setting. Find, collect and organize evidence on an assigned topic that addresses a problem in a work or community setting. Community engagement and civic learning. Describe your own civic and cultural background. Describe diverse positions and present your own position on a specific problem where other values or practices are involved. Take an active role in a community context (work, service, co-curricular activities, etc. ); examine the civic issues you encounter and the insights you have gained. The decision to pursue a degree or specialized certificate puts you on a path of self-discovery and potential future success. You are choosing to invest in your future. Below is a summary of policies, procedures and terms you will need to understand and follow to be successful. North Central follows an open-door policy of admitting high school graduates or GED holders, non-high school graduates at least 18 years of age and high school students under Michigan Dual Enrollment guidelines. There is no cost to apply for admission to North Central. All students must demonstrate the ability to benefit from the instructional programs offered by the College. Testing and/or prior college transcripts are used to determine ability to benefit. Assessment testing standards are based on federal financial aid guidelines for ability to benefit. Registration is completed through the North Central website. Students access the registration module through the College Portal. For complete registration information, including course schedules, log on to www.ncmich.edu. It is recommended that students keep a copy of all registration activity. A copy of the confirmation screen verifying added/dropped courses(s) or a dated printout of the student's schedule can serve as proof if discrepancies arise. During early registration periods prior to each semester, students can register with payment deferred until a specific published date. The College reserves the right to drop a student from all classes by the published due date unless full payment is made, the student has certified financial aid or the student has signed up for the deferred payment plan. New students who plan to enroll in at least three credits at North Central are required to attend an orientation and advising session before registering for courses. Guest and personal interest students are exempt from the requirement. Those already holding a credential from a college or university may be exempt. The orientation and advising sessions are held both on and off campus. Reserve your spot by going to .ncmich.edu/academics/orientation-and-advising.html. The mission of the academic advising program is to assist students in the development of meaningful educational plans. Academic advisors help students select classes, develop an academic plan and assist with adjustment to college life. North Central students are encouraged to seek academic advice from faculty members, advisors and counselors. Students who place into developmental classes through assessment testing are required to meet with an advisor before registering for classes until they have completed foundational courses. Students interested in a career program should also make an appointment to speak with the program coordinator. In addition to seeing an advisor, students can monitor their own progress toward completion of a declared certificate or degree via the College's registration portal. Contact Student Services to update a program of study. Students can log in and use the navigation tools titled "Advising" and "Course Needs" to determine remaining course work needed to attain their goals. Students should update their Program of Study each time they make a change so that all college information is up to date. Call Student Services at (231) 348-6605. A written plan for attaining the student's educational goal. The plan usually outlines the courses or categories of courses that should be selected each semester over the length of the student's intended time at North Central. It is developed by the student with a counselor or academic advisor. Full-time status means a student is enrolled in classes totaling 12 or more credit hours during the regular fall or winter semester; enrollment in 11 or fewer credit hours constitutes part-time status. Financial aid recipients should consult financial aid policies contained in this guide as the enrollment status rules are different than for those for academic standing. Each semester is typically 16 weeks for fall and winter, eight weeks in the summer. Students who plan to take mathematics or English courses, are seeking a degree or certificate, or are taking courses to transfer to another institution must have assessment scores. ACCUPLACER, COMPASS, ACT, SAT, a writing placement test or High School GPA may be used to satisfy the College's assessment requirement. Students who have not taken the ACT, SAT, or COMPASS will take the ACCUPLACER assessment. The following qualify as exemptions from the assessment requirement. Students must meet prerequisites for all courses. Information about the ACT can be found online at www.actstudent.org. Information about the SAT can be found online at www.sat.collegeboard.org. Information about the COMPASS test can be found online at www.act.org/compass/sample/index.html. The ACCUPLACER® is a basic skills assessment that measures reading, writing, and mathematics levels. The assessment allows you and North Central to work together to place you in courses appropriate for your skill level. Like any significant assessment test, preparation is important. Students should review the test preparation materials in Learning Support Services (LSS) or online prior to taking the examination. ACCUPLACER® is offered in Learning Support Services, Room 533 of the Student and Community Resource Center in Petoskey, and at the College's Gaylord and Cheboygan offices by appointment. Ask questions if you don't understand the process for ACCUPLACER®, call (231) 348-6682. Your placement in English and mathematics courses is based on a combination of your writing, reading, mathematics scores and your high school GPA. You must begin with the course in which you were placed. If you place into a developmental course, it is highly recommended that you take it in your first semester. ENG 095 - College Preparatory Writing (3 credit hours) , a developmental course that does not count toward graduation. It is pass/fail. ENG 111 - English Composition I (3 credit hours) . MATH 093/094 - College Prep Math, a developmental course that does not count toward graduation. It is pass/fail. MATH 110 - Beginning And Intermediate Algebra (Part I) (4 credit hours) . MATH 120 - Intermediate Algebra (4 credit hours) . MATH 125 - Mathematics For Elementary Teachers I (3 credit hours) . MATH 130 - College Algebra (4 credit hours) . MATH 140 - Trigonometry (4 credit hours) . MATH 150 - Analytic Geometry & Calculus I (5 credit hours) . Blackboard: Blackboard is an electronic learning management system which provides a wide variety of online learning services to students in traditional classes and online course offerings. A technology helpdesk for students is also available by calling (231) 348-6617 or, toll-free (866) 900-6235. For more information, go to www.ncmich.edu and enter the Student and Community Portal. Internet Access: All labs and classrooms on the Petoskey campus, in Gaylord and in Cheboygan have access to the Internet via high-speed connections. Access to the Internet is also available on computers located in the North Central Library, the Student and Community Resource Center concourse, and various computer labs across campus. Secure wireless access to the Internet is available in many areas on campus as well. Use of the high-speed and wireless systems is available to students with their student portal account and is open to guests with limited access. Student Portal accounts are provided to students when they are accepted for admission to the college. Go to www.ncmich.edu and click on Apply Now. Student Portal: Single sign-on access to technology and resources at North Central such as registration and account information. Students will be provided with an account and password upon review of their application for admission by the admissions office. For assistance, call the technology helpdesk at (231) 348-6617 or toll-free at (866) 900-6235. A student's use of the Internet or campus network facilities provided by the College constitutes acceptance by the student of the North Central Internet and Networking Acceptable Use Policy. MyMail: The College requires students to use a free email account, MyMail, to communicate with the College (pay tuition, receive notification concerning grants and conduct other official College business), communicate with instructors, and communicate with fellow students. The North Central's Blackboard and My Alerts systems also use MyMail to send notifications. Instruction is delivered several ways at North Central to address student needs and learning styles. Online courses enable students to earn credits from home or work using a computer and the Internet. These courses have been developed by North Central faculty to provide a high-quality learning experience equivalent to the traditional classroom experience. International students may not enroll in more than one online course per semester. Are you ready to enroll in on-line classes, click this link for more information: On-Line Learning. The procedures for admission and enrollment are the same as for traditional courses. Online courses are designated by "OL" in each semester's class schedule. Michigan Colleges Online makes it possible for students to take online classes from more than 20 other community colleges in Michigan. To find out more or to register for online classes go to www.micollegesonline.org. NOTE: North Central students should not register for North Central online courses through the Michigan College Online website. 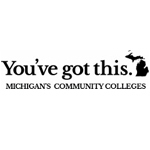 Students from other Michigan community colleges may take North Central's online courses by registering at www.micollegesonline.org. To take such online courses, a student needs to be registered with the community college that serves his/her region in Michigan. In a hybrid class, students receive a portion of their instruction in the classroom and a portion online. The amount of class time varies with the class but, in all cases, the amount of time spent in class with the instructor will be significantly less than in conventional classes. More than half of the instructional content will be delivered online. Hybrid classes are designated in the course schedule by "HY" plus the section number. Can I navigate the Internet with ease? Am I comfortable reading 30 minutes or more at a time online? Can I commit significant amounts of time, up to 10 hours per week, to online study? Am I able to study and complete assignments on time on my own? Do I express myself well in writing? Can I type 30 words per minute or more with accuracy? Students may withdraw from a class through the 14th week of class for the fall and winter semesters and through the sixth week for the summer semester. The online registration process may be used for any schedule changes. Students who do not have Internet access may use computers on the College campus. A grade of "W" is assigned on the student's transcript for that class. Students who stop attending classes but do not officially withdraw receive the grade of "E" at the end of the semester. Cancellation of classes on the Petoskey campus because of severe weather or other conditions will be announced by the College through area radio and TV stations and text messaging, and will be posted on the College website. Day class cancellation will normally be announced by 6:30 a.m. Evening class cancellation will normally be announced by 5 p.m. Students must register through "MyAlerts" in North Central's Portal to receive text alerts. Cancellation of off-campus classes because of severe weather will be regulated by the public school system hosting the College courses. For example, if Cheboygan Public Schools are closed, North Central classes held in Cheboygan are cancelled. Students should be aware of the status of the school system where their class is held and listen to media announcements for updates on school cancellations. Campus cancellations are posted on the College website, www.ncmich.edu, and on campus via video display monitors. North Central reserves the right to cancel classes due to low enrollment. Every effort will be made to notify students enrolled in those classes. Directed and Independent Study are two alternate means to earn credit for a course. During a semester or session when a course is not on the class schedule, a Directed Study could be arranged on a one-on-one basis with an assigned faculty member. An Independent Study involves an advanced topic not covered in any North Central course, pursued on an individual basis by a student who possesses sufficient knowledge in that subject area. Directed or Independent Study is begun and completed within the official dates of the semester for which it is requested, but students and faculty members do not meet for a set number of hours in a classroom setting. Students are, however, required to spend an amount of time equivalent to that spent in a traditional course in order to satisfactorily earn credit. An additional fee of $150 (beyond tuition) is assigned to all Directed/ Independent Study courses. 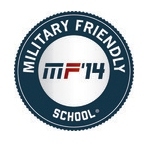 This fee is in addition to tuition and any other fees that may be assigned to the course. Lab courses are not normally available for Directed or Independent Study. To secure a Directed/Independent Study course, a student must get the permission of a faculty member who usually teaches the course and complete a Directed/Independent Study Request Form available from the instructor. The form, which must have a course syllabus attached, must be signed by the instructor, the academic associate dean and the Vice President of Academic Affairs and Student Success. No forms will be accepted after the official drop/add period. Each grade assigned for an hour of credit (exclusive of pass/fail courses) creates an honor point value. Total values are calculated by multiplying the number of honor points for a grade by the number of credit hours in the course. A student who fails to complete all the requirements of a course because of extenuating circumstances may receive an Incomplete (I). An Incomplete is given at the discretion of the instructor and is intended to be granted only in situations where the majority of the coursework has been successfully completed. The remainder of the course requirements as determined by the instructor must be fully satisfied by the end of the next semester or the "I" grade will automatically be recorded as an "E". The No Grade (NG) is a temporary status used only until the faculty member officially submits a grade to the Registrar. A student who wishes to attend the class sessions of a course but does not wish to receive credit for it registers as an Audit (AU). To declare this, an Audit Status form is available in Student Services. Once a course has been declared an audit, it cannot be reinstated to a credit class. The deadline for declaring an Audit for fall or winter semester is the second week; for summer semester it is the first week of the semester. Courses audited cannot be counted toward graduation or financial aid requirements. Students may repeat courses, when available, in an effort to improve grades. To improve a grade, the same course must be retaken at North Central. In such cases, no additional credit will be allowed. The last grade earned will be the student's official grade for the course. Courses may be taken no more than three times. Note: The College is under no obligation to schedule or continue discontinued courses to make them available. The student must notify the instructor in writing no later than 10 working days from the release of semester grades. Email submissions are also acceptable. The student and instructor should discuss all the factors that were instrumental in determining the grade. If the instructor is not available, the student may meet with the appropriate Associate Dean. A written response to the appeal will be made within 10 working days. If a student wishes to appeal the decision of the instructor, he/she may do so by submitting an appeal, in writing, to the appropriate Associate Dean within 10 working days after the instructor's decision. The Associate Dean will have 10 working days to consider and respond to the appeal. If the Associate Dean assigned the grade, the student's appeal will move from Step 1 to Step 3. If a student wishes to take further action, he/she may appeal the previous decision, in writing, to the Vice President of Academic Affairs and Student Success. The appeal must be delivered to the Vice President within 10 working days of the previous decision. The Vice President will consider the appeal and may request additional information from the student and/or the instructor. The Vice President will have 10 working days to consider and respond to the appeal. If the student wishes to take further action, a written appeal may be made to the President of the College within 10 working days of receiving the previous decision. The President will have 10 working days to consider and respond in writing to the appeal. The President's decision will be the final determination and the conclusion of the appeal process. President's List recognition is awarded to a student who has earned a letter grade in 12 or more college-level credit hours and earned a 4.0 grade point average for that semester. A student who has earned a letter grade in 12 or more college-level credit hours and earned a 3.5 - 3.999 grade point average for that semester is named to the Dean's List. A student who has earned a letter grade in 6 or more but fewer than 12 college-level credit hours with a 3.5 or higher grade point average for that semester will be named to the Scholars List. President's, Dean's and Scholars Lists will be calculated at the end of the fall and winter semesters. A notation of these awards will be posted on the student's transcript for each eligible semester. Admittance to North Central is a privilege which carries with it the responsibility for appropriate academic achievement. The College reserves the right to place a student on probation or suspend a student whose academic achievement is such that continued enrollment would not be in the best interest of the College or the student. A student is placed on academic probation when his/her cumulative grade point average after enrolling for six semester credit hours falls below 2.00, the minimum level considered to be in good academic standing. A student placed on academic probation will have two consecutive semesters of enrollment to bring his/her cumulative grade point average up to 2.00 or above. Failure to do so may result in academic suspension (denial of continued enrollment) for one full semester. A student readmitted after suspension will have an additional two semesters in which to achieve a 2.00 cumulative grade point average. Failure to do so will result in suspension for one calendar year. This policy does not supersede more rigorous probation policies required for financial aid, or for continuance in College-recognized special-entry programs such as nursing. Students placed on academic probation are urged to contact Learning Support Services for help in developing a plan for improved student success. A student on academic probation should consult his/her academic advisor or a counselor in Student Services. A student notified of academic suspension who believes mitigating and unusual circumstances have contributed to the academic deficiency may appeal his/her suspension to an Academic Appeals Committee comprised of the student's academic advisor, the academic vice president or associate dean and a counselor. Decisions of the committee are considered final and may include specific requirements for retention if the student is permitted to continue enrollment. 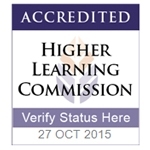 Program requirements to meet certificates and degrees are revised and changed on a regular basis. 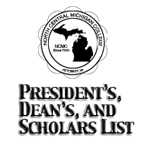 To that end, students intending to graduate from North Central Michigan College must meet the graduation requirements from a catalog effective during the seven academic years prior to their date of graduation. For example, a student who intends to graduate at the end of the 2016-17 academic year must meet the graduation requirements from a catalog effective no earlier than Fall 2010. If a student has not attended North Central for at least two years, a new catalog of entry is established upon re-enrollment. Graduation from North Central Michigan College is recognized by the awarding of an Associate of Arts degree (AA), Associate of Science degree (AS), Associate of Applied Science degree (AAS), Associate of General Studies (AGS) degree, Certificate, or Certificate of Development. Students may only earn one of the following degrees: Associate of Arts (AA), Associate of Science (AS), Associate of General Studies (AGS). Although degrees and certificates may be conferred effective the last day of any college enrollment period (fall, winter or summer semester), commencement is held once each year on the final day of winter semester. All degree and certificate recipients are encouraged to participate in commencement. Students who expect to qualify for their degrees by the close of any given enrollment period and wish to have their degrees conferred must complete an application for graduation available from Student Services or online. A request for a degree may not be approved unless the applicant begins his/her final semester with a 2.0 cumulative grade point average and may reasonably be expected to have completed all necessary coursework satisfactorily by the date the degree is to be awarded. To graduate with a degree, a student must complete the total number of credit hours required for the degree being sought, even if courses have been waived or competency has been demonstrated through ACT, COMPASS or CLEP testing scores and have an overall cumulative 2.0 GPA. NOTE: When transferring to another college or university, you may be required to take the courses that were waived or competency was demonstrated at North Central. Graduation honors apply to programs requiring at least 30 credit hours. Honors status may be changed based on the final cumulative GPA and will be posted on the student's diploma accordingly. The College offers a number of certificate and degree programs. Some are arranged in a sequence of progressively more extensive learning levels. A certificate of development may ladder up to an associate of applied science degree. Students are eligible to earn multiple certificates and degrees as long as all requirements are met. A student who wishes to complete a second associate's degree must complete at least an additional 15 credit hours or have earned a total of 75 credit hours. North Central houses permanent records and official transcripts in the Student Services office. All final course grades are recorded on an official transcript of academic credit which is considered to be a complete and true record of all academic coursework attempted and/or completed at North Central. All grades and status symbols submitted and recorded on an official college transcript will be considered final and no changes will be made after one calendar year. Any perceived clerical error must be brought to the attention of the Vice President of Student Affairs or Registrar during this one-year period. 1. The right to inspect and review the student's education records within 45 days of the day the College receives a request for access. A student should submit to the Registrar, a written request that identifies the record(s) the student wishes to inspect. The Registrar will make arrangements for access and notify the student of the time and place where the records may be inspected. If the records are not maintained by the Registrar, he/she shall advise the student of the correct official to whom the request should be addressed. 3. The right to provide written consent before the College discloses personally identifiable information from the student's education records, except to the extent that FERPA authorizes disclosure without consent. The College discloses education records without a student's prior written consent under the FERPA exception for disclosure to school officials with legitimate educational interests. A school official is a person employed by the College in an administrative, supervisory, academic or research, or support staff position (including law enforcement unit personnel and health staff); a person or company with whom the College has contracted as its agent to provide a service instead of using College employees or officials (such as an attorney, auditor, or collection agent); a person serving on the Board of Trustees; or a student serving on an official committee, such as a disciplinary or grievance committee, or assisting another school official in performing his or her tasks. Students can request non-release of directory information by submitting a "Request for Non-Disclosure of Public Information" form obtained in Student Services. To improve the instruction offered at North Central and to meet the requirements of the Carl D. Perkins Vocational and Technical Education Act, Section 113 and the Workforce Investment Act of 1998, Section 122, the College will use student Social Security numbers to compile summary reports. Section 113 of the Carl D. Perkins and Technical Education Act, 20 USC 2323, and Section 122 of the Workforce Investment Act of 1998, 29 USC 2842 require North Central and the State of Michigan to assess the effectiveness of vocational and technical education programs aimed at training, placing and retaining students in employment. Although these laws require that performance reports be compiled based on wage record information, neither law requires students to give their Social Secu­rity numbers to the College. The College plans to use students' Social Security numbers to gain access to individual wage records and compile required WIA and Perkins Act reports. These reports will help the College improve vocational and technical education programs. By improving programs, the College will better serve employers and employees. 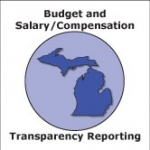 Student wage record information is maintained confidentially, based on SSN, by the State of Michigan. Neither the College nor the State of Michigan will disclose individual SSN or wage record data to any person or entity unless legally permitted to do so. Any personally identifying wage record data will be destroyed by the College as soon as all required statistical analyses have been performed, or when the information is no longer needed, whichever date comes first.. Publicly display* all or more than four sequential digits of a person's Social Security Number. Visibly print all or more than four sequential digits of a Social Security Number on any identification badge or card, membership card, permit or license. Transmit all or more than four sequential digits of a Social Security Number over the Internet or computer system unless the connection is secure or transmission is encrypted. Use or transmit all or more than four sequential digits of a Social Security Number to gain access to an Internet website or computer system unless the connection is secure and encrypted. *"Publicly display" means to exhibit, hold up, post or make visible or set out for open view, including, but not limited to, open view on a computer device, computer network, website or other electronic medium or device, to members of the public or in a public manner. Each person who uses or has access to any North Central Michigan College record which contains any person's Social Security Number, or who has access to the Social Security Number of any student or employee, will keep this information confidential. A student requesting a name change is required to submit a copy of the legal document authorizing such change (e.g., marriage license, divorce decree, court order) to Student Services. A current driver's license reflecting the change may also be accepted. Questions regarding this policy should be directed to the Registrar/Director of Enrollment Services. A hold may be placed at the request of the Vice President of Student Affairs against the enrollment of a student for failure to maintain the standards outlined in the academic standards policy, detailed in the Student Handbook. A hold will be placed if College mail sent to the address on record for a student is returned by the U.S. Postal Service. A hold may be placed at the request of the Vice President of Student Affairs against the enrollment of a student who has been suspended or expelled for disciplinary reasons. This hold may also be used against the enrollment of a student who has left the College because of psychological or medical problems. A return to the College is pending satisfactory demonstration that such problems have been resolved. A hold may be placed on a new student's record which indicates a meeting with an advisor or counselor prior to registering for classes is required. A hold may be placed at the request of the Business Office against the enrollment of a student or the release of official transcripts when the student has failed to discharge his/her financial obligations to the College. A hold will be placed on a student's record if the student has been placed on financial aid warning status and the student is required to meet with an advisor or counselor prior to registering for classes. A hold may be placed on a student's record for disciplinary reasons related to campus housing. A hold will be placed on degree- or certificate-seeking students who have not fulfilled placement testing requirements. A hold may be placed by the Library against the enrollment of a student who has failed to return a library resource or who has failed to pay fines or charges owed to the Library.